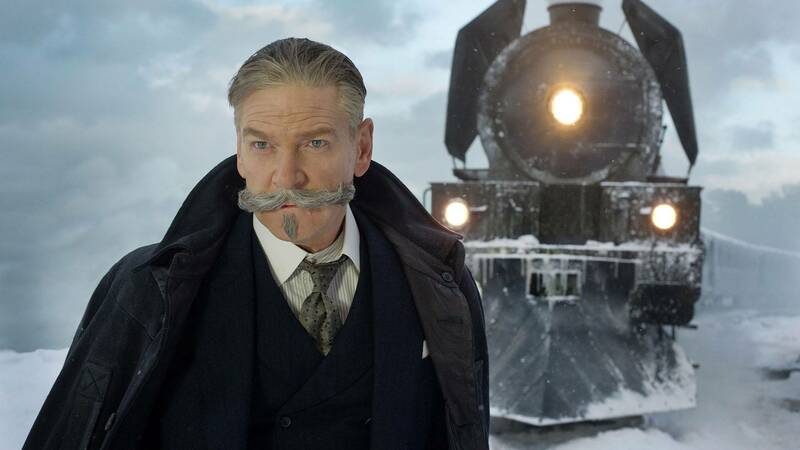 Kenneth Branagh stars in (and directs) "Murder on the Orient Express." In Amarillo theaters this week: A homicidal trip by train, Christmas with Daddy and one of the movie's most iconic romances. Mark Wahlberg, left, and Will Ferrell star in "Daddy's Home 2." Michelle Pfeiffer is among several top stars appearing in "Murder on the Orient Express." This faith-based documentary tells the story of Charles Mully, who rose from being abandoned on the streets to becoming a wealthy, powerful man in Kenya. He used his fortune to start a children's rescue organization. It'll encore at 7 p.m. Thursday at the Amarillo Star 14. Play it, Sam, at this 75th anniversary screening of this iconic romance for TCM's Big Screen Classics series. It'll be shown at 2 and 7 p.m. Sunday and Wednesday at both the Amarillo Star 14 and Hollywood 16. One biblical theory of the Earth's creation is explored in this 3-D film, screening at 7 p.m. Monday at the Amarillo Star 14. Savvy synergy at work: The smash success of this summer's Wonder Woman has expectations higher than they had been for Justice League and, captializing on that, Warner Bros. will offer a double feature of WW and JL beginning at 3 p.m. Nov. 16 only. Advance tickets are on sale now for comic book blockbuster Justice League, animated holiday film The Starand family drama Wonder.